i didn't watch the Oscars this year, but that don't mean i can't appreciate the pretty dresses! i really wanna doodle a couple more, maybe even try my hand at a couple of dudes in fancy suits. i just haven't found any time for it yet. i haven't given up though. but whenever i do draw more, i'll post again. 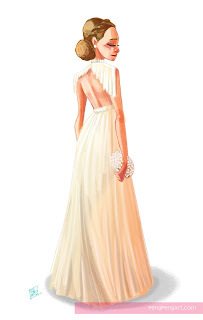 i started with Jennifer Lawrence's dress cuz i thought it'd be easy. i don't know why i thought this, but i was extremely wrong. 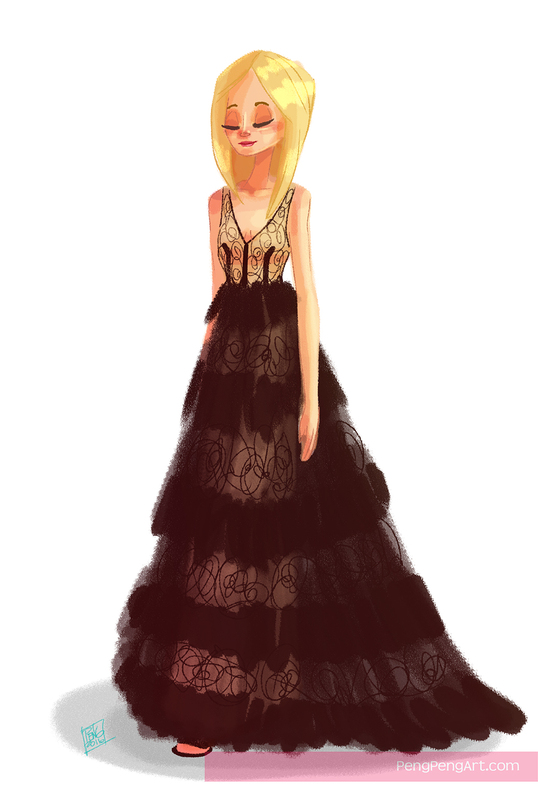 getting the effect of the beige dress under the black lacy waves were more complicated than i thought. that's what i get for my foolishness. 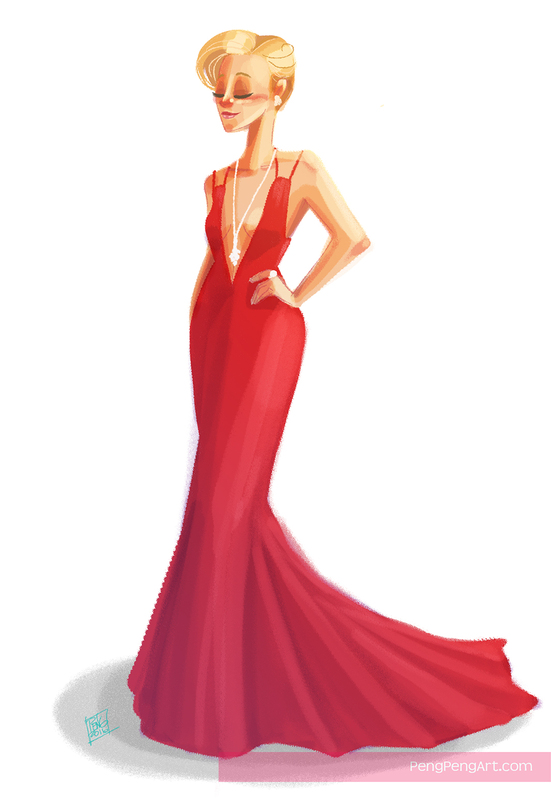 i just had to draw Charlize Theron's dress cuz she was fierce in it. and Olivia Wilde's dress was pretty but the back of it was way more interesting to me so that's what i drew. all of these were sketched and colored directly in Photoshop.